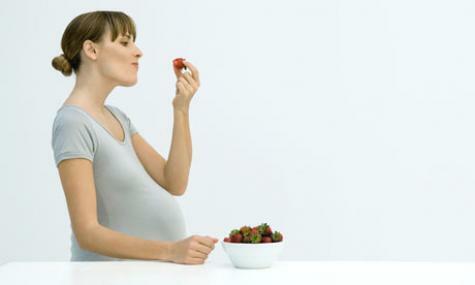 What your mother ate in pregnancy could well be affecting your weight management today. What your mother ate while pregnant could still be affecting your weight today, according to research by RMIT University's Dr Sarah Spencer. Dr Spencer, a Vice-Chancellor's Senior Research Fellow and an Australian Research Council Future Fellow, has investigated how diet during pregnancy and early childhood affects our weight for the rest of our lives. She has found that baby rats fattened up in the laboratory for the first three weeks of their life stay overweight for the rest of their lives. Feeding adult rats a fattening diet for just three weeks does not have the same impact and the rats will have minimal changes if allowed to return to their normal diets. The same sort of thing happens in humans, with the early life diet potentially contributing to weight problems later on. "Now we're looking at what is happening during the baby stage to predispose a human to become obese, with the changes in the stress system that can bring," Dr Spencer said. "If a woman eats an excessive amount of high-fat food during critical periods of her pregnancy her baby has a greater chance of being overweight and developing disorders like diabetes that are associated with obesity." Obesity can have psychological as well as physical consequences, Dr Spencer said. "Overeating in early life changes the way the brain and body respond to stress in later life. "In general, humans tend to eat more sweet and fatty food when they're stressed."